It's been a while. I am working on an update to The Forgotten. Anyway, look below for images of what's done. The update will be delayed, pending added functionality to the tmd processing tool. Are you make new skins? The new trees, structures and exercise exclusive dinosaurs will need new skins, that's for sure. The raptor squad won't be making an appearance. Did some playtesting and finished up several dinosaur sounds. I finished the dinosaur sounds and the trees. You can see two of the plantable trees in the video below. Can we see pictures of the trees? and , When this mod will be released? The video already reveals 3 of the new tree types: Lepidodendron, Monstera and a palm tree. Keep looking, you'll see them. When you plan to release the update? I don't intend to release the update any time soon. There's a lot of work left to be done and I don't think it will be completed by this year. 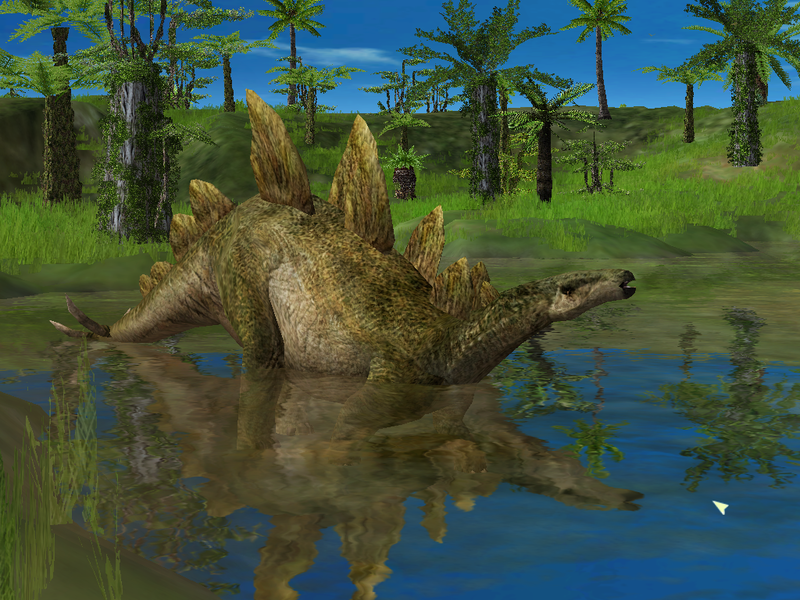 Stegosaurus (TLW) will appear in the exercise The Lost World. Notice that it holds its head and tail higher than the original Stegosaurus (and it has a thought bubble too!). It is also bigger than other variants of Stegosaurus. Are you going to add bonus skins as you did with the first version of the forgotten? Like a DLC skin? Please, don't double post in the forum. Questions: why you show a building that will not make an appearance in the mod? 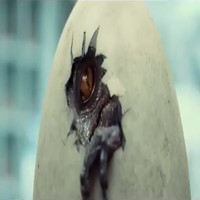 All the new skins will just based on the movies and dino games, or any concept art created to jurassic park? Because that would be a good adition. Will there be Herrerasaurus and Troodon from jurassic park the game for the jurassic classic mission ? Nice to see that The Forgotten will be getting some updates. I took the time and finally created my first full-scale park with this one a little over a year ago, so this mod will forever have a special place. Great job, EchoGreen! I took a few months off to settle my own personal issues. Oh sh*t that's f*ck*** good ! That tree was planned on the game? Wow. So what's new about the mod? What are updates that you have fineshed? If you want low poly-count trees, check the _lo.tmds they shud provide a better performance. I'll do updates on edited trees other than the conifers such as a realistic sago palm along with more accurate coconut trees that crook and bend, possibly skinnier if I may. Ash trees and magnolias were planned. The intro cutscene and some early screenshots of JPOG shows trees similar to this. The poly count would double the moment I start modelling out the tree branches so it's pretty futile. 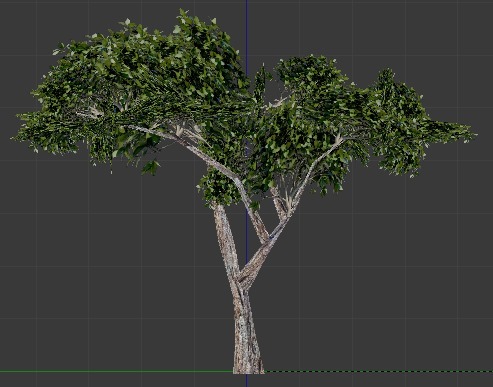 My goal is to create a dense jungle canopy with this type of tree which is relatively low detail for the amount of tree top it provides, as opposed to having 4 palm trees squished into one model. FTK, I'd love to see what you create! Check out the FCM:HD thread. It's progressing at a fast pace to where I'm even revamping trees(again). It's starting to look like a new game with the conifers added.